With so many negative predictions aimed at Windows tablets, we'd actually like to see one pleasantly surprise us with a good touch experience and long battery life. Sadly, the Netbook Navigator Nav 9 is not that tablet: Its inaccurate resistive touch screen, frustrating on-screen keyboard, and relatively slow performance all disappoint, as does the sub-three-hour battery life. 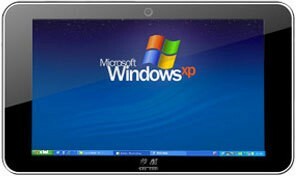 If you or your business really wants to use a Windows 7-based tablet, you're probably much better off waiting for HP's own slate to arrive. The questions that needs to be answered, of course, are “is a Windows 7 tablet right for you?” and “what does this tablet offer that others don’t?” To the first, I would say probably not; a 7 tablet is more aimed at enterprise and IT, and while it’s a full PC in your hand, with all the benefits that provides, it’s also pretty poorly optimized for touch at the moment. You’d have to put some work into it. As for whether the Nav9 provides anything special, I’d also have to say probably not, but that doesn’t mean it isn’t a worthwhile machine. It’s a netbook with a resistive touchscreen, and that pretty much tells the whole story. If that’s what you need, and you don’t want to wait until early 2011 for the big companies’ versions of this form factor and OS, then the Nav9 is a worthwhile investment. 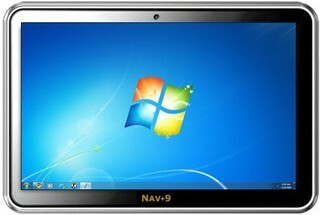 Visit the Netbook Navigator Q&A Forum to get answers, ask a question or help others.